The Peter and Dawn Williams trained Media Sensation cemented her claims for next month’s Gr.1 Gavelhouse.com New Zealand 1000 Guineas (1600m) at Riccarton with a stylish victory at Ellerslie. 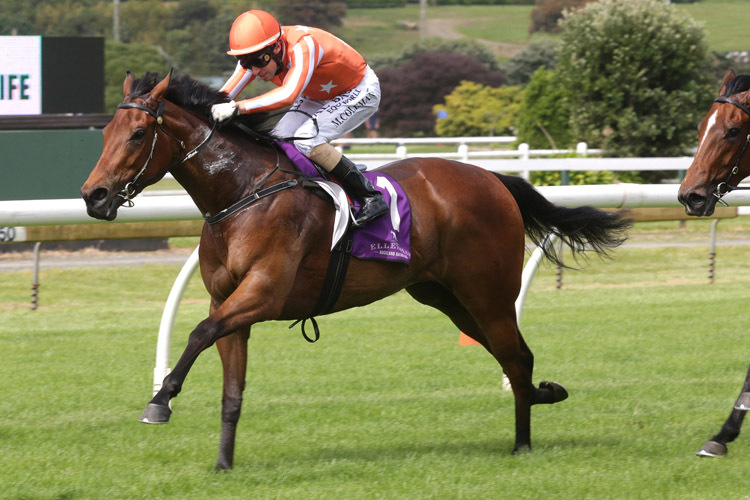 Backing up just a week after scoring in an open three-year-old contest at Rotorua, the I Am Invincible filly was sent out a warm favourite in Saturday’s Gr.3 Partners Life Soliloquy Stakes (1400m). There was sensation before the race with leading rider Opie Bosson replaced on the warmly favoured Queen Of The Air after injuring his foot in a barrier accident in the preceding race.